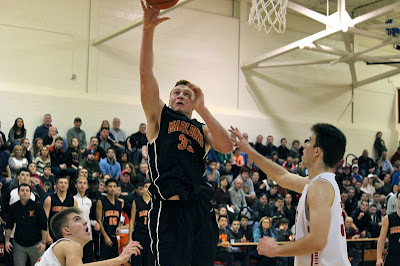 It was a hoops-tastic episode of "The Local Sports Lunch Box" on WPKZ, as I welcomed in Tom Flanagan of the Telegram & Gazette, and chatted with Marlboro basketball star Chris Doherty. Flanagan broke down Inter-High for us, along with the best Catholic Schools in the area, and explained why Division 2 may be better than Division 1 for boys hoops this year in Central Mass. Doherty, meanwhile talked his team's chances of bringing home a state championship this year, and his many college suitors. If you love local basketball, you don't want to miss this episode. Continue below for more from Flanagan and Doherty, plus our weekly awards.